With Readly you can read Mac OSX El Capitan Genius Guide and thousands of other magazines on your tablet and smartphone. Get access to all with just one subscription. New releases and back issues – all included. 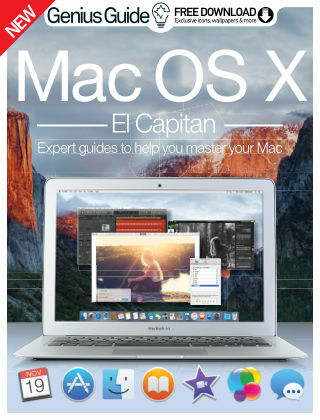 Mac OS X El Capitan Genius Guide is an essential resource for anyone looking to explore the full extent of their's Mac's capabilities. Fully updated for Apple's latest operating system, it features expert tutorials, in-depth guides and must-have apps, perfect for any Apple enthusiast. Featuring: El Capitan power tips - Make the most of Apple's latest operating system and discover the secrets of El Capitan. Everything you need to know about iCloud Drive - Get more from iCloud's brilliant features with our complete guide to Apple's cloud services. 50 best El Capitan apps - Kit your Mac out with our pick of the best downloads from the Mac App Store. Mac OS X problems solved - Have your most frequently asked questions answered by our Mac experts.